Does Destiny’s Ulo cover show it doesn’t really get #FeesMustFall? 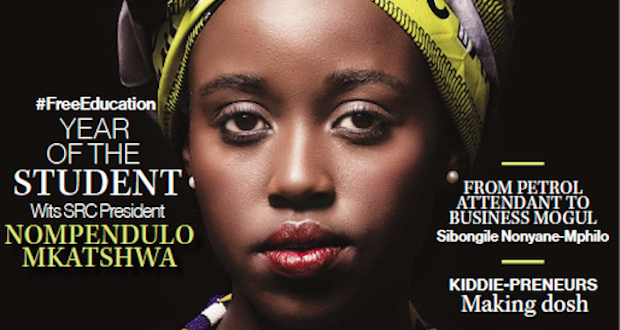 Destiny magazine’s choice for its December cover girl, namely Wits SRC president Nompendulo â€˜Uloâ€™ Mkatshwa, has spurred furious debate about the face of #FeesMustFall. AAISHA DADI PATEL explains. After several tweets hinting at who the cover star may be, Destiny tweeted a shot of the cover early on Sunday evening. 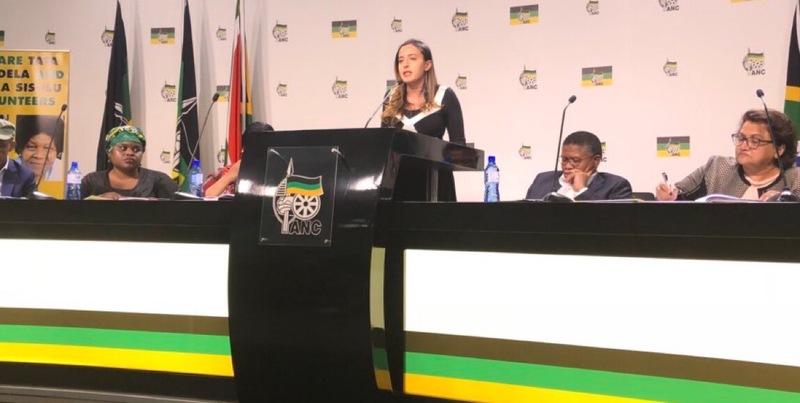 Their choice was not particularly surprising – Mkatshwa, together with other Wits student leaders, has been featured heavily in media coverage of the FeesMustFall protests in recent weeks. But it wasnâ€™t all smooth sailing for Destiny â€“ as soon as the picture started circulating, Twitter was set aflame with people debating its choice of cover girl. Part of the problem was the fact that #FeesMustFall has always aimed to present itself as a broad-based, non-political student movement, in which everyone’s voice has equal weight. To put a single student on the cover, many argued, ignored the contributions made by everyone else. 17. For @DestinyConnect to highlight ULO is failing to see that different leaders emerged within this movement. Her ANC affiliation was scrutinised by some, particularly asÂ she was wearing ANC colours on the cover. But others pointed out that she’d never hidden her affiliation during the protests. Some commenters argued thatÂ DestinyÂ had madeÂ it appear as though #FeesMustFall had been led by only one person. OthersÂ argued that although Mkatshwa had been put on the cover of the magazine, no one was actually calling her the face of the movement. My view point is one. Let us not victimize Ulo. I am under the view,however that our revolution need not a face. Radio host Redi Tlhabi pointed out that Mkatshwa’s contribution did not negate that of others. And others pointed out the hypocrisy of armchair activists who now chose to criticise her for being in the spotlight. Meanwhile, former SRC president Shaeera Kalla, another prominent student leader involved in the #FeesMustFall protests, failed to see what all the fuss was about. Is Ulo appearing on the cover of Destiny magazine on her own really that big a deal? As the SRC president, does she have the legitimacy to do so? Or is it a selfish move? Comment below, or tweet us your thoughts @thedailyvox! What a silly controversy. She has been the “face” of the movement from the start. Media need a face to put on the cover – not multitudes of faces. She has become the ChÃ© of #FeesMustFall, highlighted over and over in the media. She was a natural choice for this cover. 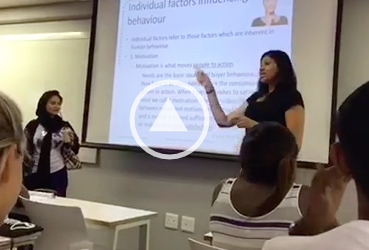 She is “The Student” referred to on the cover – she stands in for and symbolises all the other students. Astonishing that people don’t get this. Don’t our universities teach Media Studies anymore? Or are people just plain seething with jealousy? The latter, more likely. I definitely don’t think the should be an individual put as ththere’smaliciousious of the hash tag FeesMustFall, throughout the protest in particular at Wits which to my opinion has manage to get most coverage on media especially television. Student victory was more of unity in common goal than the no fee increment for 2016 year. In the current political developments in our country clearly theres malicious intent probably be it to distort history as it has been done by the ruling government on Sharpville Massacre to be named human rights day. It clearly disassociated it from any PAC relation. As Shaeera said the struggle continues, we should be vigilant though. I don’t think it’s about who’s not on the cover or not. These students are in the situation they are in because of the ANC. Then posing with ANC tukus while they protest also shows that they are part of the problem. No one in their right mind, unless employed to push a propaganda can sat they are fighting for students and still be in the ANC!!! We know ANC is a shady movement, filled with greed and sexual scandals.